Dr. Shipp is board certified in Obstetrics and Gynecology and in Maternal-Fetal Medicine. He attended the University of Illinois at Champaign-Urbana where he received a BS in Microbiology. Dr. Shipp received his MD from the University of Illinois at Chicago in 1989. He completed his internship and residency in Obstetrics and Gynecology at the University of Chicago, and his fellowship in Maternal-Fetal Medicine at Brigham and Women’s Hospital. After completion of his formal training, he joined the Maternal-Fetal Medicine faculty practice at Massachusetts General Hospital. In 2001, he limited his practice to diagnostic ultrasound in Obstetrics and Gynecology, returning to Brigham and Women’s Hospital, and becoming a partner and Vice-President at Diagnostic Ultrasound Associates, P.C. Dr. Shipp continues his affiliation with Brigham & Women’s Hospital by scanning in the Obstetrical High Risk Ultrasound Unit. Dr. Shipp has co-authored many papers on the prenatal diagnosis of fetal conditions and gynecologic abnormalities with his partners, Dr. Benacerraf and Dr. Bromley. He has also published extensively on trials of labor after prior Cesarean delivery. Dr. Shipp is a Fellow of the American Institute of Ultrasound in Medicine, and has served in leadership positions therein. He is also a Fellow of the American College of Obstetricians and Gynecologists as well as a member of the Society of Maternal-Fetal Medicine. Additionally, he served on the initial Fetal Echocardiography exam development task force for the American Registry of Diagnostic Medical Sonography (ARDMS). After this Registry examination went live, he served as a Board member of ARDMS, Chair of the Board of ARDMS, and founding Chair of the Board of Inteleos, a global medical imaging certification organization. 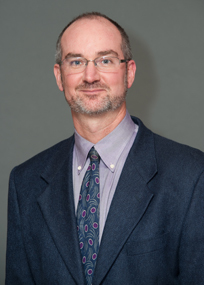 Dr. Shipp’s current academic interest is in the area of placental development.